My favorite blog posts are ones that are inspired by reader questions, and today we respond to a doozy from "DC" who asks about the real estate investment market. We get all kinds of questions from our readers, but this one is very insightful in that I believe he suspects there could be a problem brewing for some of the investors in the Tallahassee real estate market. Anybody who has taken a drive near Doak Campbell Stadium in Tallahassee has seen firsthand the boom of student housing that is being added to the market. Thus, it comes as no surprise that savvy investors are concerned about the impact of all this new supply in the rental market. Well DC, I have two thoughts on this. First, I think the impact for investors with properties nearest the schools (universities) will be hurt until we see the universities begin to grow again. Secondly, I suspect "the rest of the rental market" will be less impacted the further away you get from the schools. Thus, I would say that the "student housing" subset of the rental market is taking a new beating right now, at a time when the recovery was just underway. Student housing has served as an excellent real estate investment in Tallahassee for as long as there have been schools here in town. The student market has always been predictable, thus supply and demand were never too far out of whack ... until we made national news. Back after the turn of the millennium, a few magazines reported Tallahassee as a great investment market. That begin a new era for student housing. Local and regional investors developed student housing in Tallahassee in a mad rush, adding to the growing supply every year. Unfortunately, schools did not grow demand (by adding students), so the new supply created a unique inventory problem. Additionally, it appears the student housing market nationwide has transformed from local players to national players ... meaning the trend is toward corporately held "student villages," properties loaded with amenities (like dining and shopping) are popping up everywhere there is a name-brand university. Large investors are finding a formula that works at one university is likely to work at the others, so they are springing up nationwide. And as soon as a new student village is built, it immediately fills with students who seem to have plenty of money. Brand new = high demand. So if the new places are filling up with students, and we are not adding students to the demand side of the market, then student villages are being filled with tenants who previously were renting from the established student rental market. This means the older student rentals are falling out of favor, and if there is a glut of supply (and there is), it is being felt with the "not new" student rentals. They will be the ones that go unfilled with the grand opening of these new student villages. I would be very careful before spending money for student rental properties (or any rental properties on the West side of the Tallahassee real estate market). To be safe, you should work with an agent who has a great understanding of supply and demand, and one that can show you the niche areas that make the most sense. Not all student rentals are "bad," you just have to determine a ROI expectation before you start making offers. Of course, if you are willing to skip the student rental market altogether, there are some excellent investments on the North and East side of town. The key is to have a plan before you start buying or selling your real estate investments. 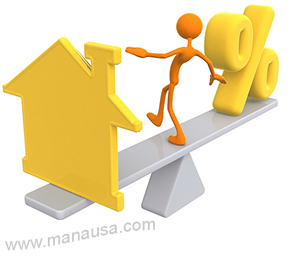 If you want to know current real estate investment supply and demand information for Tallahassee, visit our market report at www.manausa.com/market-report/.